‍Cover of the exhibition catalogue. Among the sampling of calligraphic implements shown in this exhibition, there is a box of sixteen ink sticks made during the Qing dynasty by the famous ink-maker Hu Kaiwen. Each cake of ink is endowed with a unique shape and embossed design. In the second drawer from the bottom, one finds an ink stick, which at first glance appears rather plain. It is perfectly rectangular and little seems to be happening on its surface. On closer inspection, however, one finds that the border is composed of an elegant lattice, which frames a single branch of plum blossoms. Through this simple architectural motif, the surface of the ink stick has become a window, through which one gazes at a beautiful scene in early spring. Although, in using the ink, this design is inexorably ground away, the window endures as a powerful metaphor: under the calligrapher's brush, the written word becomes an intermediary through which one can view much more than just its literal meanings. The brushwork, the materials used, the text chosen, and the composition combine to produce a dynamic visual form which not only reveals the personality and training of the calligrapher, but also serves as a window into the history of Chinese calligraphy, and indeed, of China as a whole. This metaphor of the window will serve us well as we attempt to understand the calligraphy of the four artists whose work is presented in this exhibition: Bai Qianshen, Chang Ch'ung-ho, Charles Chu, and Wang Fangyu. This formidable group of artists, scholars, and collectors has maintained through their calligraphic production an intimate relationship to the long and rich tradition of Chinese calligraphy. They have dedicated their lives to the study and practice of calligraphy, and to expanding people's knowledge of China's past and present. 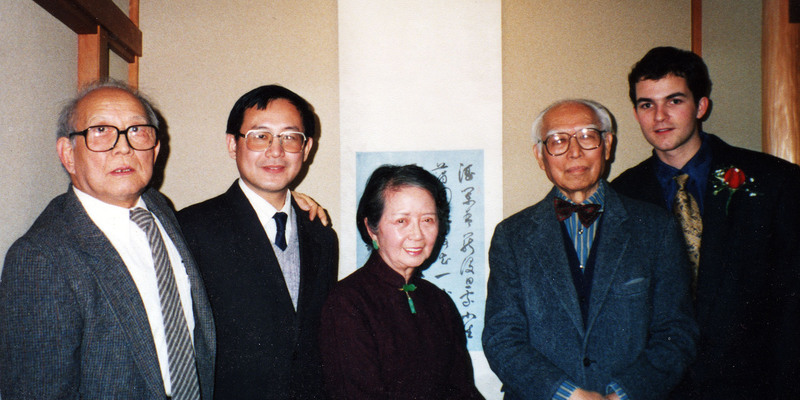 Each has been closely involved with collections of Chinese art, has taught Chinese language, calligraphy, or art history, and shares a common involvement with Yale University. The purpose of this essay is to generate an interpretive framework that will allow the viewer to understand the works of these calligraphers as more than just simple visual experiences. Although these works certainly can be appreciated for their abstract beauty alone, the fact remains that the tools and materials are carefully selected, that the words chosen are not arbitrary, and that the placing of brush to paper ­– far from being a timeless act – is largely determined by the calligrapher's thorough examination of historical precedents. To understand the complexities and subtle allusions in these pieces of calligraphy we must ask how these four calligraphers use the past, and conversely, how the past can be seen to surface in their work. The use of the past can be discerned at three distinct levels: most tangibly, through the use of old materials; then, more conceptually, through the use of traditional poetic texts; and finally at the most subtle and abstract level through the shaping of one's style in response to precedents found in the long history of calligraphy. 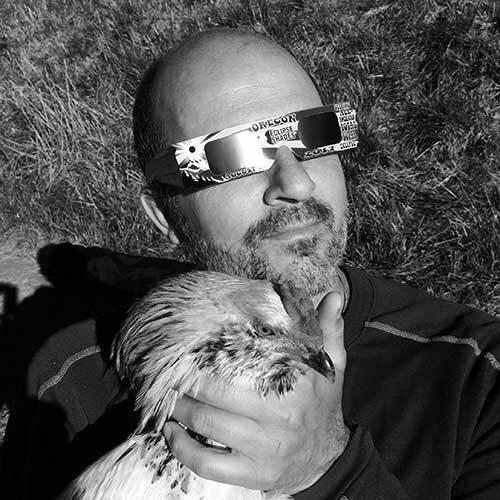 Although these inevitably affect the viewer in unison, for the sake of clarity, each of these three aspects of the past will be dealt with separately. First, at the most tangible level, there is the physical use of old tools and materials, cherished for their age and high quality (see Treasures of the Scholar's Studio, p. 25). Imagine sitting at a desk, brush in hand, contemplating what to write on a blank piece of paper. While this is an inherently solitary act, within this solitude one finds communion through the use of materials. Ink, ink stones, brushes, water pots, seals and other related objects are arrayed on the desk so that they are accessible. Constituting part of the artist's visual field, the presence of timeworn objects like the eighteenth century water dispenser (no. 26) not only serve a utilitarian function, but also provide a direct and physical link with calligraphers of the past. The use of fine inks (nos. 20-21) and paper (nos. 28-29) creates another such link and additionally lends an unexpected richness to the finished product. Of all the calligraphers in the exhibition Chang Ch'ung-ho takes the most delight in using old materials. She and her husband Hans Frankel have a large collection of these treasures, many of which came from her father's and grandfather's collections. She uses ancient inks and ink stones, paper made during the Qing dynasty (1644-1911), and she even uses a seal which was made in the latter part of the nineteenth century. Discussing her use of these objects, she says, “I like to use nice materials. When I copy, I use whatever is lying around, newspaper, junk mail . . . but I am not afraid to use expensive paper or rare ink. In this piece of xiaokai (no. 5) I used a mixture of Ming and Qing dynasty inks. You can't get inks like these any more . . . . The people who made these inks were very skilled, they knew what to do. To use things like this, so old, is the finest feeling.” Through the use of these materials, a bond is formed not only with calligraphers who used them in the past, but also with the artists and craftsmen who produced them. The relative scarcity of these materials and their attendant cost, however, makes it difficult for many calligraphers to have the chance to use such objects. An alternative means of forging such connections is afforded through the use of modern materials, which evoke a nostalgia for the past through their being patterned on prized old models. Such examples are found in the pieces of block-printed paper used by Bai Qianshen. Although these pieces of paper are produced by contemporary paper companies, the designs used are all ancient and evoke the long tradition of using decorative papers for pieces of calligraphy (see nos. 8 & 10). A second use of the past lies in the area of the semantic content of the calligraphy. The poems, aphorisms, and essays chosen by the calligrapher as vehicles for calligraphic expression are frequently drawn from the classical literary tradition, and moreover, are full of allusions to historical figures, events, and places of significance. The act of choosing these texts, though occasionally capricious, is rarely arbitrary, and, consequently, an understanding of this process affords valuable insights into the calligrapher's own sentiments and observations at any particular moment. The allusions generated by these texts can be achieved simply though the rendition of a single character, as found in Wang Fangyu's Goose, which evokes memories of the famous calligrapher Wang Xizhi who derived inspiration from these birds (see no. 15), or through involved transcription of an entire series of poems, for example Chang Ch'ung-ho's Five Poems by Jiang Kui (see no. 5). Wherever possible, these allusions are discussed in the individual catalogue entries. However, it will be revealing at this point to discuss one of the densest pieces of calligraphy in the exhibition, and that is Charles Chu's The Red Cliff by Su Dongpo. If we examine Chu's decision to transcribe the writing of Su Dongpo (1036-1101), also known as Su Shi, we find how elaborate the relationship between calligrapher and text can be. Noted for its highly philosophical and emotional content, The Red Cliff is one of Charles Chu's favorite pieces of writing. Because the poem is one of the most celebrated prose poems in the Chinese literary tradition, it might appear to be a relatively obvious text for a calligrapher to choose. Yet, while at one level he is literally transcribing the poem, at another level, his calligraphic rendition transcends the text itself to allude to Su Shi and more specifically to Su Shi's personality. By transcribing Su Shi's poem, Charles Chu is not trying to elevate himself to an equivalent position within the tradition, but is at once expressing his admiration of this past scholar and using Su Dongpo's depth of vision to convey feelings which sink deep into his cultural past and thereby speak with an intensity not generally found in the words of a contemporary. Between Charles Chu and this poet-calligrapher of the Song dynasty (960-1279) there are some striking similarities, not only in occupation, but in their mental and scholarly outlook as well. Chu has many reasons to sympathize with Su Dongpo. Su Dongpo was a devoted civil servant and spent his adult life constantly moving from place to place, and was twice forced into political exile. Yet throughout his many frustrations he maintained a remarkably positive outlook, and a genuine interest in the affairs of those around him. His poetry, while often expressing sadness, is noted for an irrepressible optimism and philosophical depth. It is no coincidence that Charles Chu would find a resonant chord in Su Dongpo. Although he was never literally sent into exile, in his move to the United States he did leave his native country behind. Charles Chu is genuinely concerned with people's well-being, and he is loved by all who know him for his irrepressible enthusiasm for any creative endeavor. The Red Cliff has become a presentation of outlook and spirit, as if within Su Shi one can find clues to Charles Chu's own inclinations and perspective. 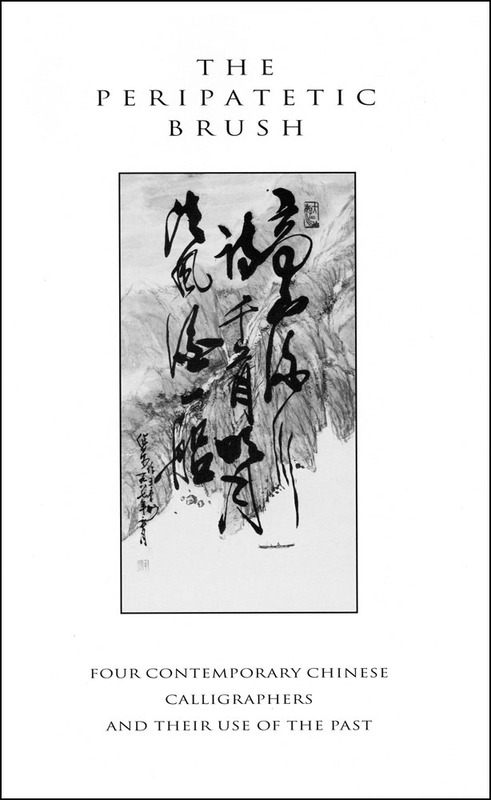 In executing The Red Cliff as a piece of calligraphy, Charles Chu is not only referring to an outlook on life but also consciously comparing his own calligraphic approach to that of Su Shi. Su Shi is remembered as a calligrapher of monumental importance as well as a great poet. Some quotes of Su Shi's sound as if they could have been spoken by Charles Chu himself. For instance Su Shi states, “Though I have not studied calligraphy, I excel at it” (Nakata, p.132), and continues, “My calligraphy follows my feelings. I have no techniques” (Nakata, p. 186). Whether talking about Charles Chu or Su Shi, this does not mean that they do not study calligraphy, rather it is a reflection of their shared belief that calligraphic beauty does not rest merely in technique, but is something achieved when one truly tries to express one's humanity. And this is exactly what Charles Chu means when he says that he just likes to practice. The third use of the past is the most subtle, lying as it does in the formal sphere; and it can be detected in a calligrapher's adaptation of specific scripts and individual styles from within the calligraphic tradition. This process is complex. The art historian Ch'en Chih-Mai states that within the calligraphic tradition, “all innovations... have been based on an appeal to a perfected state assumed to have been achieved by the old masters” (Ch'en 1966, p. 145), that is, individual creativity has always been a process where old and tried forms are assimilated and transformed into something which enriches and energizes them. The artists represented in this exhibition have all studied the work of countless calligraphers, and the artistic coherence of the tradition often makes it difficult to determine whether a calligrapher has studied directly from a particular source, or through the intermediary of another calligrapher's study of that source. Additionally, formal similarities, which at first appear to bespeak of direct influence, are often shown through further research to be the result of independent developments. Although it requires patience, tracing the historical antecedents of any one calligrapher is rewarding, for it sheds much light on the creative process, and at a more encompassing scale serves to reveal larger trends in the transmission of calligraphic forms. In order to understand the more subtle, formal aspect of the calligraphers' use of the past, we must first pause to review some important developments in the history of the classical calligraphic tradition, and in particular, to take stock of the major upheavals that marked the history of calligraphy during the Qing dynasty. The calligraphic developments which occurred early in the Six Dynasties Period (265 -589) are crucial to our understanding of the classical tradition, for with the final refinement of jincaoshu (modern cursive script, see no. 6), xingshu (running script, see no. 1), and kaishu (standard script, see no. 10) the “evolution of new types of script came to an end” (Ledderose 1979, p. 7). The importance of this event cannot be overemphasized, for from this point on the history of Chinese calligraphy unfurls in a succession of master calligraphers. Beginning as early as the fourth and fifth centuries, calligraphers started to follow a tradition springing from the sage calligrapher Wang Xizhi (303? -361?). His calligraphy, it was believed, had reached such a state of perfection that it could not be improved upon, and came to define what is called the classical tradition. Wang Xizhi's calligraphy held a monopoly on what was deemed to be historically suitable and acceptable calligraphy for close to 1500 years. Since proficiency in this style was an essential skill for passing through the examination system that controlled access to China's civil service, every calligrapher's studies eventually lead back to Wang Xizhi. It was considered a great mark of achievement even to have approached his style. Paradoxically, however, even though Wang Xizhi's style stood as the determining standard upon which the entire calligraphic tradition was based, with the passage of time, knowledge of the nature of his style became less and less certain. This was because of the fact that his calligraphy and the calligraphy of the masters that followed him was inevitably written on paper, an inherently impermanent medium. Since paper disintegrates quickly, these masterpieces were carefully preserved by hand copying or woodblock printing generation after generation. Yet with each copy, the original forms inevitably changed, and after several hundred years, the authenticity of these copies, relative to the originals, was legitimately open to question. By the mid-seventeenth century, calligrapher-scholars could no longer remain blind to the inconsistencies in the canonical histories of Chinese calligraphy. Formal discrepancies between different replicas of a single work by an early master proved to be problematic, and these inconsistencies were further underscored by the dissimilarities between such copies and actual inscriptions dating to the same period. Although such observations were certainly not new, they led to important methodological consequences only in the Early Qing dynasty, because of the fresh and distinctive intellectual climate that distinguished this age from earlier periods. The fall of the previous Ming dynasty (1368–1644) at the hands of the Qing, a “barbarian” dynasty of foreign, Manchu origin, had dealt a striking blow to the intellectual self-complacency of the ethnic Chinese literati. Searching for the causes of collapse, many scholars began to lay the blame on Neo-Confucianism, which had defined intellectual orthodoxy since the time of the Southern Song dynasty (1127–1279). In the eyes of its critics, Neo-Confucianism was a rigid and elaborate scholasticism that pretended to transmit the authentic teachings of Confucius, but in reality obscured and perverted his original teachings. Armed with a new epistemological methodology called kaozheng (“practicing evidential research”), these scholars rejected the texts of Neo-Confucianism and instead turned directly to the Confucian classics to ferret out the true wisdom of the past. Kaozheng presented an empirical methodology, which stressed, in Benjamin Elman's words, “exacting research, rigorous analysis, and the collection of impartial evidence drawn from ancient artifacts and historical documents and texts” (Elman 1984, p.6). The results of this scholarship, as well as the empirical methodology it embodied, quickly spread to other disciplines, including calligraphy. The impact of the kaozheng movement on Qing calligraphic practice and scholarship is seen in the vigorous resurgence of a traditional form of scholarship known as jinshixue, or “epigraphical studies.” Jin, literally “metal,” refers primarily to inscriptions on bronze vessels, although swords and other metal implements are also included in this category. Shi or “stone” refers to the inscriptions carved on stone stele, cliff faces, bricks, and boulders. Jinshixue is thus “the study of bronze and stone inscriptions,” and one important part of the discipline deals directly with the calligraphy of these inscriptions. In searching for true knowledge of the nature of ancient calligraphy, the Qing epigraphers rejected the contradictory testimony of the classical tradition, and turned instead to the empirical evidence afforded by actual surviving inscriptions. Epigraphical scholars like Gu Yanwu (1613–1682) and Zhu Yizun (1629–1709) traveled extensively throughout China to record both bronze and stone inscriptions. Slowly jinshixue scholars assembled large collections of rubbings, and through their empirical observations of these ancient inscriptions they reevaluated the canonical history of the art. An intimate link was forged between scholarship and calligraphic practice, for as scholarship progressed, more and more calligraphers began to use these ancient inscriptions as models for their own calligraphy. Thus, jinshixue supplied an alternative that unveiled itself in direct opposition to the highly refined and “methodical” models of the classical tradition by presenting the viewer with consciously awkward and archaic written forms. This reevaluation led to the eventual definition of two general reservoirs within the calligraphic tradition, loosely termed tiexue, “Studies of Model-Calligraphy,” and beixue, “Studies of Stele Stone Engraving” (Tseng 1993, p. 331). A comparison of beixue and tiexue and the aesthetic standards they embody will be helpful. Beixue, although specifically referring to the study of stone stele, actually includes all pre-Tang writing on relatively permanent materials such as bronze, lacquer, and bamboo. The calligraphy found on these objects is generally in zhuanshu (seal script) and lishu (clerical script), although alternative forms of kaishu (standard script) inscribed during the Three Kingdoms (220-265) and Six Dynasties Period are also included. Zhuanshu can be broken up into dazhuan (great seal script) of the Zhou dynasties (11th c.–256 BCE) and xiaozhuan (small seal script) which appeared in the Qin dynasty (221–207 BCE). Dazhuan, found mostly on bronze vessels, is curvilinear, was written in various sizes according to the number of strokes involved, and often appears unfinished and “childlike” (no. 14). In contrast, xiaozhuan characters are written in uniform sizes and are slightly elongated; they also adhere to a strict geometry, and the lines are all of an even width. Xiaozhuan is the script most often used on seals, whence the name (nos. 11 & 13). Lishu is derived from xiaozhuan, but differs in both structure and brushwork. In lishu, the curved, contained lines of xiaozhuan yield to straight lines and angles and modulated brush strokes (no. 4). No matter what script was used, the calligraphy found on these objects is generally austere and monumental and in most cases strives for utmost clarity. What would later serve to influence the brush technique of the Qing jinshixue calligraphers was the fact that the anonymous carvers of these inscriptions did not try to copy the shape of a brushed line. Particularly in lishu, the carved endings of individual strokes are sharp and angular in a manner that preserved the edge of the chisel. The word tie literally means “label,” “note,” or “small paper sheet” (Ledderose, p. 11). Tie are generally letters or personal notes, and were preserved, not for their literary content but because they were written by famous calligraphers. Both intimate and fragile, tie display a great deal of individuality. Their calligraphy is written mostly in xingshu and caoshu scripts, both of which are characterized by highly fluid and modulated brushwork. In xingshu the precision of the kaishu script relaxes and individual components of each character are linked together. Exaggerating the simplifications initiated in xingshu, caoshu marks the apogee of fluid brushwork: single characters, and even groups of characters, are written in a single stroke. In contrast to the rigid, orthogonal layout and timeless qualities of bei, tie tends to be unstable, its characters appearing in a variety of sizes and rhythms, recording clearly the process of the passage of the brush over paper (nos. 2 & 6). In time, tie came to refer not only to informal letters written in xingshu and caoshu, but to collections of model calligraphy. It is important to recognize that the distinction between beixue and tiexue is not, strictly speaking, based on the use of different scripts, but on fundamental differences of aesthetic intention. Even though the tie tradition grave pride of place to kaishu, xingshu, and caoshu, calligraphers also practiced lishu and zhuanshu throughout the history of the classical tradition. However, in the case of zhuanshu, the forms were derived “from such intermediate sources as the Shuowen jiezi (c.100), compiled by Xu Shen, and the stone stele inscriptions of Li Yangping (active 759–780) of the Tang dynasty” (Fu 1977, p. 43). This zhuanshu was symmetrical and defined by highly stylized brushwork, following the aesthetic standards of the prevailing kaishu. The development of lishu in the classical tradition parallels that of zhuanshu. Because the first resurgence of the script was in the Tang dynasty (618-906), the leading masters being Xu Hao (703–782) and Han Zemu (active 750–762), classical lishu is often called Tangli (Tang dynasty lishu). It was not until the Qing dynasty that a significant number of scholars bypassed these models and turned directly to earlier inscriptions as sources of inspiration. We may turn now to the work of the four contemporary calligraphers, and begin to examine their particular adaptations of historical scripts and styles. Although all four artists have had access to essentially the same body of knowledge of the calligraphic tradition, various factors such as their age, education, and personality have done much to frame what they have chosen to observe. Thus, each is marked by a predisposition toward different moments within the history of Chinese calligraphy, and each has selected different elements from the tradition which respond in the formation of their own highly individual works of art. We may better understand this process of selection if we view the work of each calligrapher in the terms of a dialectic between the aesthetic poles embodied in the earlier division of bei and tie. In broad terms, the calligraphers can be arranged in the following manner. Only Charles Chu stands firmly within the tie tradition alone. The other three span the two reservoirs. Chang Ch'ung-ho's work is framed by her exceptionally thorough and methodical study of the entire history of Chinese calligraphy, in both its bei and tie manifestations. Although she has attained a distinctive and highly personal style, the sources of her inspiration are often eminently apparent. Bai Qianshen, thoroughly trained in the tie tradition, produces calligraphy much in accordance with the calligraphic theory of the Qing jinshixue movement, and especially of the seventeenth century calligrapher-scholar Fu Shan (1607–84). Wang Fangyu's work also draws from bei and tie, but is framed by a concern for recreating the space found in the works of the seventeenth century artist Bada Shanren (1626–1705). Q: There seem to be some striking similarities between your work and the xingshu and caoshu of Qi Baishi and Wu Changshi. Q: What accounts for the similarities between Wu who studied jinshixue and you who studied primarily Tang? Because of his overt use of a specific methodology, it is perhaps easier to grasp, at least visually, Bai Qianshen's particular style of writing. Although he is almost two generations younger than the rest of the calligraphers, his calligraphy can by no means be dismissed as the product of a young calligrapher. He has a deep scholarly knowledge of the history of Chinese writing, and is highly respected not only as a calligrapher, but also as a seal carver. His work has been exhibited in China, Taiwan, Japan, and in the United States, and is characterized by complex allusions to the history of Chinese writing and classical Chinese literature. His calligraphy represents a very interesting fusion of elements from both the bei and tie traditions. When he was young, Bai Qianshen studied no one else but Yan Zhenqing for seven years. After this he went on to study Wang Xizhi, Ou Yangxun (557–641), and Yu Shinan (558–638), all of whom are celebrated members of the classical tie tradition. As his interest in calligraphy intensified, his horizons expanded and he began to apply himself to the study of early inscriptions. When he entered Beijing University he began studying seal carving, and as a result, he learned the history of the seal script very well. He started to apply elements of these forms to his brushed calligraphy. Bai Qianshen's turn to ancient models, is of course, a direct extension of ideas generated by jinshixue scholarship. And specifically, his approach finds a theoretical parallel in the writings of the calligrapher-scholar Fu Shan, who is the subject of his doctoral dissertation. Writing in the seventeenth century, Fu Shan declared: “To talk of calligraphy without knowing the origin of seal script is like a dream,” and went even further to say, “Writing regular script without knowing the transformation of the seal and clerical scripts, even if you are very skillful, it is still vulgar. All the interest of Zhong You and Wang Xizhi's calligraphy comes from their understanding of this idea... What is amazing in the Han clerical scripts is precisely their stiff and unskillful aspects” (Bai 1991). Although Bai Qianshen says that he does not copy Fu Shan's calligraphy, he nonetheless admits that he is “indebted to his theoretical contribution.” In talking about the influence of jinshixue in his works, Bai Qianshen states, “we are all influenced by it to different extents. In my writing I deliberately try to achieve awkward effects or sometimes childish effects.... We think this is natural, this is innocence.” In a world where we are constantly bombarded by written text, this notion of the written word as natural and innocent may be difficult to grasp. Is there such a thing as innocent writing? Bai explains that it is similar to Picasso's use of African masks as sources of inspiration, adding that “as the forms of things become more complex, refined, delicate, and technically complicated they gradually lose their inner substance and interior virtue, or at least the substance and virtue are overshadowed by the beauty of the forms” (Bai 1991). Chinese calligraphy has been appreciated for many years in the United States, but due to the barriers of the written language, it has been viewed primarily as an abstract art: an a-cultural visual field from which the calligraphic line floats up seemingly unveiled with no apparent strings attached. Under these circumstances calligraphy is consumed by the viewer purely on the strength of the brushed lines alone. However, the beauty of and pleasure derived from looking at these pieces is not the result of idiosyncratic or chance combination. As demonstrated in the work of all four calligraphers, the very concept of a "strong" line is constructed from studying and mastering past calligraphic lines and techniques. These textures and forms arise, in large part, through the complex relationships between calligrapher and a selected past. Charles Chu, Chang Ch'ung-ho, Bai Qianshen, and Wang Fangyu have devoted their lives to the art of written forms, and in their work the past can be seen to emerge as islands of admiration and inspiration. Through their own permutations of historically bound processes and forms, each piece in the exhibition presents a certain richness of allusion rarely encountered. Although such direct involvement with the past challenges our notions of originality and individual creativity, it d catalogue, to the vast network of people who provide the means necessary from paper- and ink-makers to mounters and distributors. In comparison with the glossy reproductions and often cold mechanical texts around us, it is a great pleasure to view the production of these custodians of the written word first hand. Each piece of calligraphy is like the refracting edge of a crystal which presents the viewer with a brief glance through which one recognizes a calligrapher's deep involvement with the text itself, with the tools, and with the history of the art. I have used the pinyin romanization of Chinese characters throughout the catalogue. The only exceptions are personal names such as Chang Ch'ung-ho and Charles Chu. For an excellent discussion of this history, see Lothar Ledderose's Mi Fu and the Classical Tradition of Chinese Calligraphy (1979). This division is also referred to as the Northern (beixue) and Southern (tiexue) Schools of Calligraphy. In either case, the imposition of the two categories presents certain problems. For instance, this division implies a strict division of writing materials, yet model calligraphy from the classical tradition was often inscribed onto stele. It also implies that tiexue is conservative while beixue is progressive, and that a calligrapher must take sides. It also ignores the fact that calligraphy is not generated out of affiliation with a school but through years of practice and observation. For an involved discussion of zhuanshu and lishu from the Tang dynasty onwards see Shen Fu's Traces of the Brush, pp. 41-60.